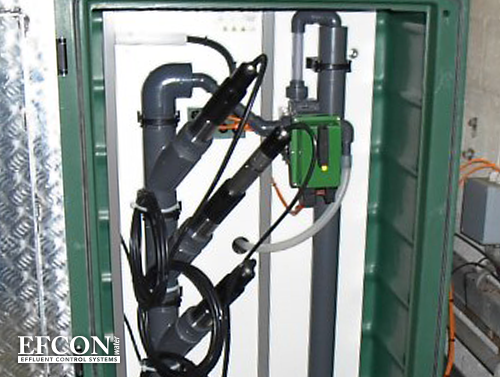 Efcon® Water provides special ‘systemboxes’ which can be connected to our standard Efcon®omy or Efcon® Industrial enclosures. Above you see two systembox sizes which are supplemented with optional equipment such as an electro magnetic flowmeter, an inline guillotine sampler, air compressor, analytical equipment, special piping and more. View our Efcon® Waste Water Sampling Specials Datasheet (PDF) for more examples of our special waste water sampling projects. Efcon systemboxes are custom made. This obviously affects the price of our waste water sampling specials. 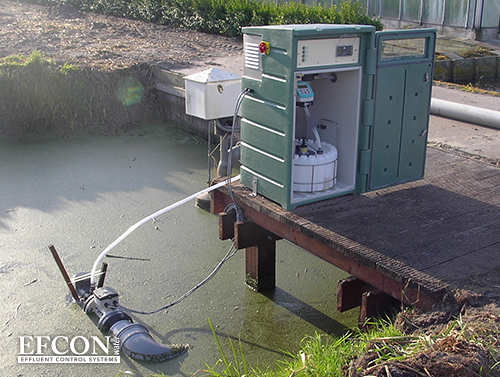 Efcon® Water offers full support with annual service and on-site support in The Netherlands & Belgium. Throughout Europe we support several specialised distributers. Spare parts are in stock at our distributers but can also be shipped globally with UPS, DHL, Fedex etc. At this moment Efcon® Water has multiple specialised resellers in Europe. Interested to become a member of the Efcon® family? Please contact us. 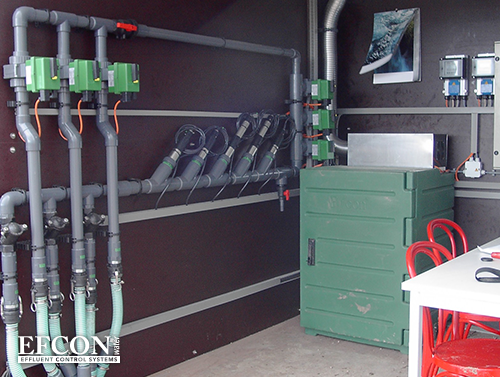 Efcon Water® developed a variety of special projects throughout the years. Besides connecting systemboxes we also produce custom made sampling solutions. A few examples are shown below. 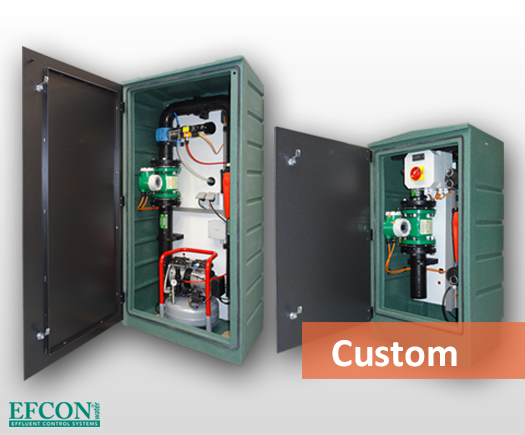 Specially designed systemboxes that can be connected with a standard Efcon®omy enclosure or an Efcon® Industrial Enclosure. 1 or 2 systemboxes possible per unit.